As a PC user, something strikes me fairly odd about the All-In-One market. 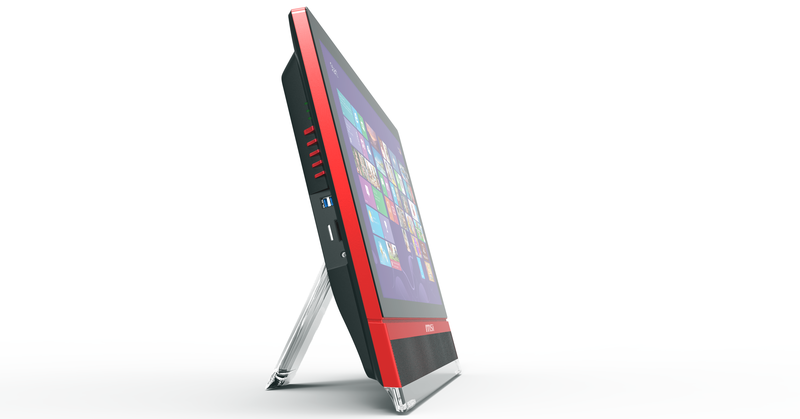 This are like old Macs – you get a PC and a screen in one chassis that sits on your desk. Attach a keyboard or mouse, or if it’s a premium design, it might be touch screen as well. It makes sense if you don’t want a case or upgrade potential (although a touch screen might mean you sit too close), but I have yet to see any friends or family use one. 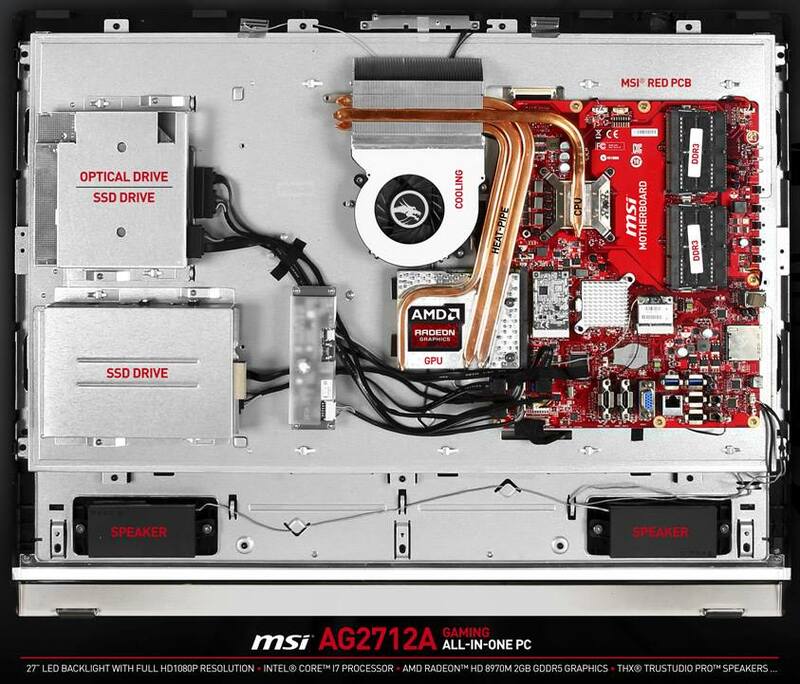 MSI have now launched their AG2712A gaming model in an attempt to assuage that balance. The panel itself is a 27″ 1080p multi-touch screen, using ‘flicker-free’ technology. The system has built-in WiFi (I hope it is dual band), as well as a Blu-Ray writer for an ODD (DVD Multi capable). The system has four USB 3.0 ports in total, as well as standard inputs and a 2MP HD webcam. All this with a 180W power brick and weighing in at 16 Kg. The AG2712 should be out by the end of August, though I wonder what the price is going to be. 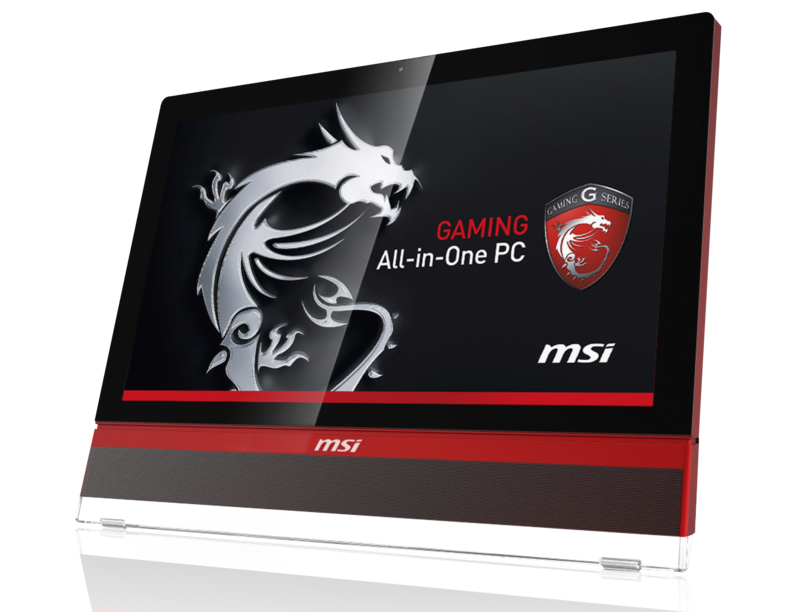 3630QM+HD8970M, with RAID-0 mSATAs and a 27″ multi-touch screen is not going to be cheap. So we are dealing with a 45W CPU with a single heatpipe, and the 75-100W GPU with three heatpipes, all cooled by one fan. Either that fan is going to get really loud when the system is in full load, or I fear that the CPU/GPU will clock back due to overheating. I would love to get one in to have a look. … and all within a 180W power budget. That doesn’t leave much for the display, RAM, drives, chipset, fan, etc., so I guess something must be throttled back significantly. 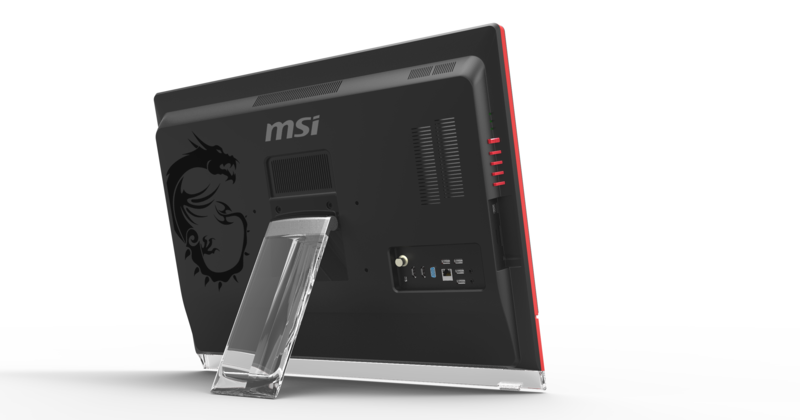 This entry was posted on 2013/08/23 by Ian Cutress in Technology News and tagged All-In-One, MSI, Technology News.